B.A.M. Bowlathon! (formerly known as Bowl for Kids' Sake) This is one of the primary fundraisers for Believe and Achieve Mentoring of Henry County. We're looking for 100 4-person teams. Each team collects donations and pledges, then turns them in the day of the event. 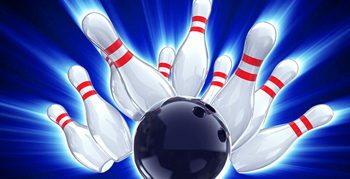 Everyone gets to bowl one game for free, receives a t-shirt, and might win a door prize! (There's also a silent auction.) There is a prize for the person who earns the most donations. PLUS, for every $100 you earn in donations, you get a chance to win $10,000 by bowling a 7/10 split! So, please join us - especially if you're feeling lucky!